The month of April has seen no fewer than 11 new suppliers join the Federal Government’s ever-growing cloud services procurement panel arrangement, with Infosys, Atos and Southern Cross Computer Systems among the latest entrants. Australian Government Chief Technology Officer (CTO), John Sheridan, named the latest additions to the panel on 27 April, adding to four new entrants he revealed on 5 April. In March, Sheridan revealed the names of another 11 suppliers that had been added to the panel, including the Citadel Group, Axios Systems and TLS Consulting . To date, the Government’s cloud services panel claims 182 local IT providers as suppliers, with names such as CA Technologies, Bulletproof, Cisco Systems Australia, Data#3, iiNet, IBM Australia, and Dimension Data Australia among those on the ever-increasing list of partners. “All new Panellists will be submitting services for inclusion on the Cloud Services Panel Service Catalogue shortly. These services will soon be available for Agencies to procure via the ICT Procurement Portal,” Sheridan said in a blog post. The Department of Finance established the whole-of-government cloud services panel In January 2015. The procurement panel arrangement’s current standing offer runs from 30 January 2015 to 31 March 2018. 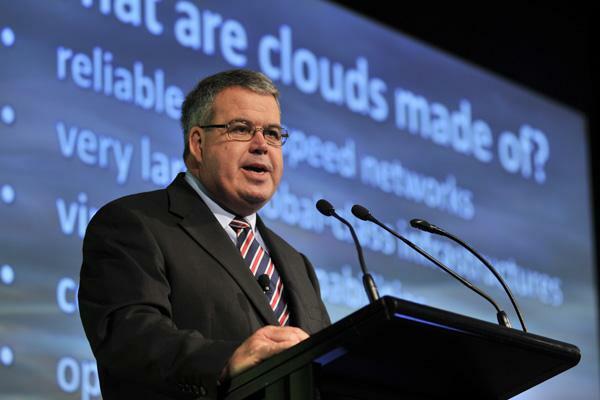 The aim of the panel arrangement is to offer public agencies a “scalable and flexible cloud services via industry offerings and do so in a way that reduces the burden on industry,” according to Sheridan. The panel covers platform-as-a-service, software-as-a-service, and infrastructure-as-a-service, along with services such as cloud service optimisation and integration.